Ever take a look at the locks on your front door? Do they have a nice shiny brass finish? Do you have a keyed entry? Well, if you’re like most people then your locks are branded either Kwikset or Schlage or some no-name brand. What most people don’t know is that these locks are just as good as no lock. A complete amateur can manipulate these locks within seconds. Not to mention using brute force would require no skill at all but would get the job done right away. Well, there are solutions; and one of the best solutions is installing high security locks instead of your cheap locks from Home Depot or Lowes. Mul-T-Lock and Medeco are the most popular. I personally prefer Mul-T-Lock so I will be focusing mainly on their product line. First I would like to talk about what makes a high security lock so special; For starters these locks are very difficult to pick and manipulate, in other words, the same amateur that can pick a Kwikset or a Schlage within seconds will have no idea where to even begin with these high security locks. 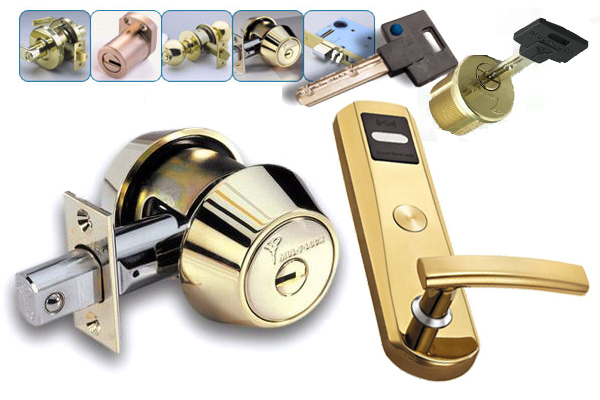 Their build quality is exceptional and unlike the cheaper locks they are built from solid brass. The keys that come along with high security locks are non-duplicate keys. I’m sure many of you have seen non-duplicate keys before, but it’s not enough to just stamp “Do not duplicate” on a key. These high security keys come along with a special code card (looks similar to a credit card); this card contains the information required to duplicate a key. In other words, only you can authorize making additional copies of your key. This is usually referred to as key control. High security locks are obviously more expensive than your standard lock; but it’s true what they say – “You get what you pay for!” – These locks offer real value in security rather than close to none. They offer a variety of features and functions that make them worth their price tag. I should also mention that they also come with a lifetime warranty on all mechanical failures, which that alone shows how these manufacturers are confident with their products. 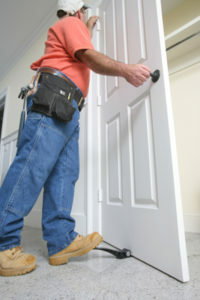 Make sure when you get to get these installed by a professional locksmith. 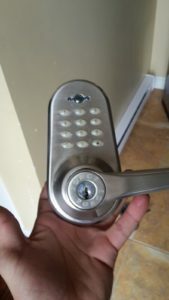 What to Expect From Kitchener Commercial Locksmiths? A commercial locksmith works specifically with businesses. These professional services have one job. That job is to protect your business from any type of theft or other risks. It is up to you to find a company you trust to work with and one that can help you to get the level of protection your business needs. In today’s economy, you have to take every step you can to minimize risks to the business and these professionals can help. What can they do for you? When should you call on these pros? 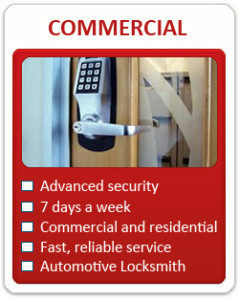 One of the main reasons to call on commercial locksmiths is when you are in need of way to safeguard your money. Safes are one of the most important components to any business that handles financial transactions. You’ll need to consider your needs first. Do you need a simple safe? Do you need a wall safe? Do you need a vault? Look beyond this, too. What level of security is necessary? In some cases, a combination lock is good enough because the risks are low. In other cases, you may want to use advanced technology to protect your valuables, such as eye or finger scanning technology. You’ll want to ensure that you have plenty of room to manage your valuables. How many people have had keys to your location? How many of those individuals, throughout the history of your organization, have left on bad terms or may have even a hint of opportunity to come back and do damage to you? It is a good idea, and most of the time the company’s policy, to change the locks on the establishment whenever you break ties with anyone holding a key, even if they return that key to you. This includes vendors that you may provide access to when you are not in the facility. If you have not done so, it is a good idea to increase the security the facility has. Are you locked out of the establishment? Perhaps you are dealing with a situation in which the safe just will not open. 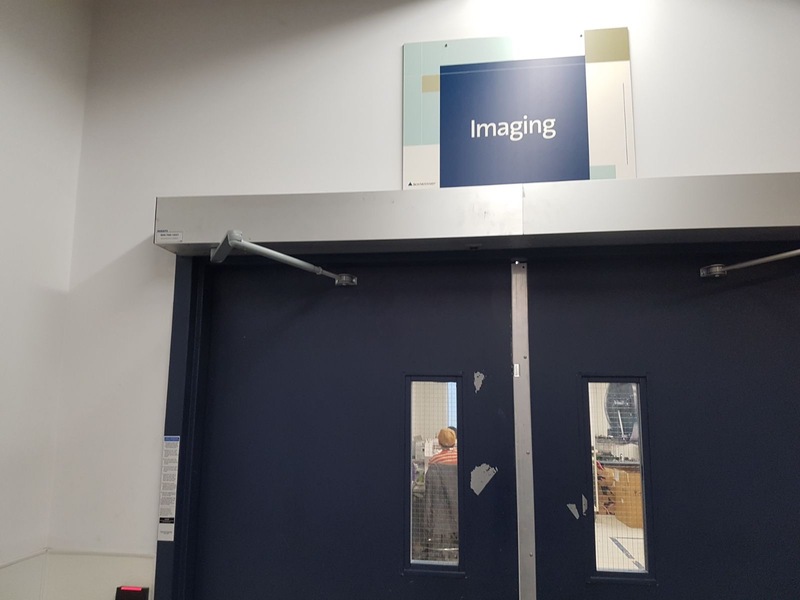 You may be facing a problem with getting into your facility or getting the business up and running in many instances. That is when you need to call on commercial locksmiths for help. They will provide you with the tools to get the job done. They will get in, handle the problem for you and then provide security again. Commercial locksmiths are professionals you need to work with if you are a business owner. Once you find someone you can trust, you can go to that professional every time you need to for the care you require. There are various tools that an experienced lock picker will use, but there are only a few that you need to be aware of if you are just trying to get your door open to get your keys or access the shed out back that you lost your keys to. The two main tools are a tension wrench of some kind and an actual lock pick tool. A tension wrench is a small piece of metal shaped into a 90-degree turn or “L” shape. It is placed into the lock and used to turn it once you have worked the lock. The tension wrench works just like a key. Because it has to be able to turn the lock or handle you are working on, it need to be strong enough not to break off in the lock, but it has to be small enough to fit in the lock while still leaving room for the lock pick itself to do its job. You can buy tension wrenches from security, hardware and locksmith catalogs as well as some places online, or you can make your own. The best way to make your own is to use a small Allen wrench and file down one side so it fits into the lock you are working on. Lock picks come in a wide range of shapes and sizes, but for most simple locks you just need a simple pick. It will be a small flat piece of metal that fits into a keyhole, usually with a small rise or bump toward one end. You rake the bump across the pins in the lock, pushing them up while trying to get them to set into their holes. Once you have the pins set you use the tension wrench to open the lock. Lock pick tools can be very expensive to purchase. I suggest fashioning your own lock pick set and practicing on simple locks around the house before investing a great deal of money in new tools. You may find that you don’t have any need for so called professional tools to take care of all of your lock picking needs. For instance a lock not only provides security for our belongings but also for ourselves this way ensuring that no one can damage us financially or physically. This is far more important than the loss of earnings or belongings and means that when we go to sleep at night we can feel safe that no one will break into the house and pose a threat to us. Often murders start as robberies gone wrong, so a locksmith and a good lock can prevent a whole range of crimes. In another way a lock and a locksmith help to facilitate privacy. Here they can give you a lock in order to keep people out while you’re in the bathroom using the bath or toilet, or while you are in your room getting changed or sleeping which could lead to embarrassment otherwise. At the same time locks can also be used to lock away files, documents and information meaning that you can confidently keep records of important and sensitive records, information and data without worrying that it might fall into the wrong hands or be used against you. This could be something as simple as a diary which you wouldn’t want anyone else to read, or something else such as a your finances, or your clients for a business. Should another company get hold of your plans for your company meanwhile they might be able to leak them, or toe beat you to the punch and cripple your business. All this then brings you one more benefit that should not be under rated – peace of mind. It allows you then to sleep easily knowing that you, your belongings, your data and your family are all safe. At the same time you can rest assured that you have complete privacy when you need it and you can go about your business undisturbed. An Electromagnet (EM) Lock is a locking device that consists of an electromagnet and an armature plate. There are four main types: U-bracket for glass door without frame, L-bracket for a narrow door frame, LZ-bracket for in-swing door and the regular installation lock. The concepts of electromagnetism apply here. When energized, a current passes through the electromagnet and attracts the armature plate with such a force that it shuts down the door. When both the plates attach with each other, they are literally inseparable unless made to do so using the valid key. That valid key is what is called the switch meaning the tool that can break the strong magnetic field. An Electromagnetic manufacturer has to ensure that wiring inside the plates is done with no fault. Electromagnets have a high attracting power because of a high flux density created by the magnetic field of the coil inside the device. This is because of the solenoid wire inside. And this is the precise reason why use of such a device is a safe option. EM locks installation should always be done on the inside (the secure side). Most installations are surface mounted. 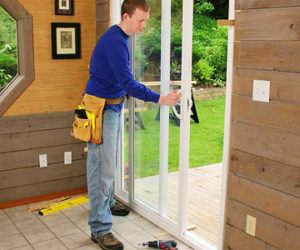 For safety reasons, cables and wires should be inserted in the door. Installation is quite easy but there are different methods of installation for different types for e.g. the installations of a U-bracket would be different from that of an L-bracket lock. 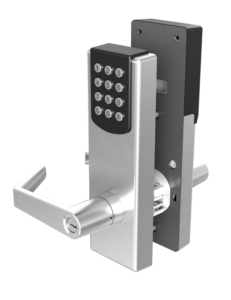 An EM lock is categorized as a “fail-safe” and “fail-secure” device. With fail-safe, when power is lost from the device, the lock automatically de-energizes and releases allowing free access. Whereas in fail-secure, power loss is not a concern as it remains intact. Hence, a fail-secure device is your best friend in a panic room situation (for thieves and burglars) as it won’t open without electricity and a key, while a fail-safe device is useful in an emergency situation (in case of fire). In modern times the use of such devices are on a rise which is an excellent tool in the field of security. Compared to its mechanical counterpart, it sure bags points for being a safer option. However, the most important aspect of the device is its dependence on power. How the future can help in resolving this issue remains to be seen!